Add style and function to your home or business office with this line of sophisticated furniture from Realspace. The Dawson collection is designed to help you stay organized while offering a polished look for any space. Pieces sold individually. Assembly required. An ideal, stylish way to keep important documents and files organized. Available to store letter- or legal-size files. 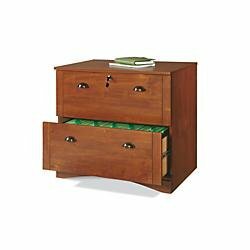 Full-extension drawers for convenient use. Top drawer locks for security. If you have any questions about this product by Realspace, contact us by completing and submitting the form below. If you are looking for a specif part number, please include it with your message.